Gardai have launched a murder investigation after a woman was killed in a suspected stabbing incident at a house in west Dublin. The attack happened at Greenfort Drive in Clondalkin shortly in the early hours of Friday morning. The woman, a 41-year-old mother of three, has been named locally as Cathy Ward. It is understood she lived at the address. Gardai were called to the scene at approximately 12.30am before by someone who said a woman was injured at the house. The woman was found with serious injuries and was pronounced dead at the scene by a doctor. A man in his 50s, who was known to the woman, was arrested a short time later. He is detained at Lucan Garda Station under Section 4 of the Criminal Justice Act, 1984. He can be questioned for up to 24 hours. Gardai have not issued an appeal for witnesses to date. Deputy State Pathologist Michael Curtis arrived at the scene shortly after 11am on Friday. 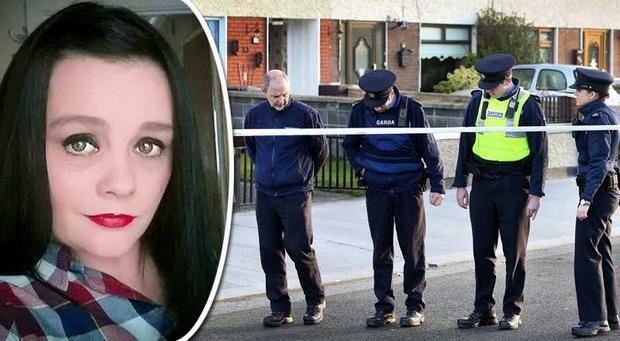 He carried out a preliminary examination on the victim’s body in the house as members of the garda technical bureau conducted a forensic examination of the scene. A post-mortem was carried out this afternoon by Dr. Michael Curtis, Deputy State Pathologist at the Dublin City Mortuary, Whitehall, Dublin 9. Investigating gardaí are awaiting the results.